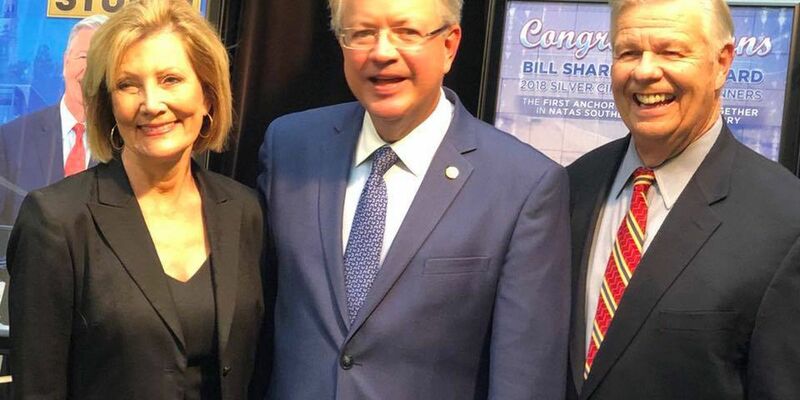 CHARLESTON, SC (WCSC) - Wednesday is Bill and Debi Day in the Holy City, in honor of Live 5 News anchors Bill Sharpe and Debi Chard. Charleston Mayor John Tecklenburg visited the Live 5 studios in West Ashley Wednesday afternoon to make the announcement. It is part of a celebration of their induction into the National Academy of Television Arts and Sciences' Silver Circle, a special recognition that celebrates those with at least 25 years in the industry. "Debi has been with our station 42 years and Bill for 44 years, that's an unbelievable amount of experience at one station," WCSC Vice President and General Manager Dan Cates said. On Friday night, Sharpe and Chard will be honored in Atlanta. It is the first time the academy has inducted an anchor team into the Silver Circle.